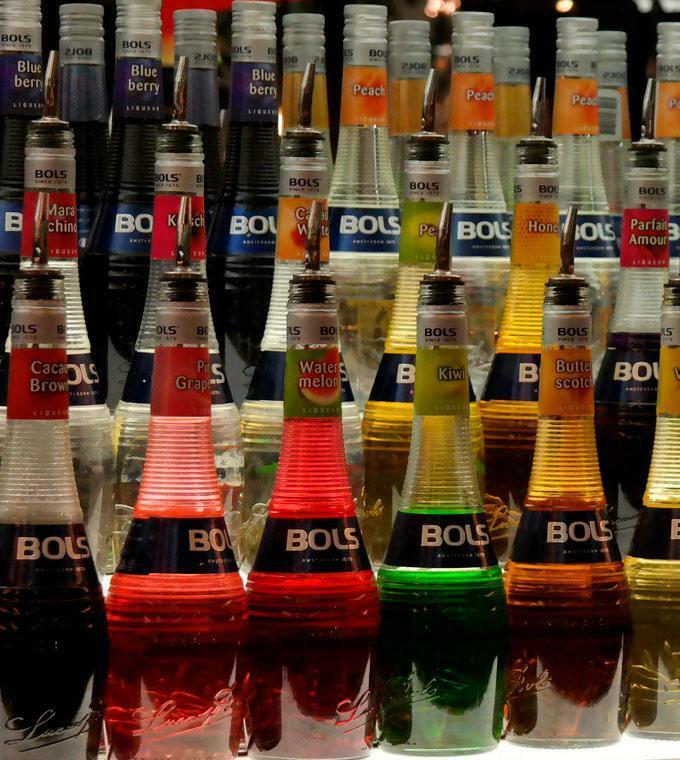 The house of bols, Completely Renovated en renewed! Discover the flavour of Amsterdam. House of Bols takes its visitors on a spectacular multi sensory and unique journey through the ‘World of Cocktails’. In the ‘Art of Flavour’, ‘Hall of Taste’, Extraction Room’ and ‘Genever Room’ all senses will be stimulated, and visitors discover the secrets of all 42 Bols liqueurs and Bols Genevers. As winner of the Dutch Design Award for Best Exhibition & Experience, House of Bols is proving that heritage and history blend perfectly with innovation and contemporary design. A visit to the House of Bols, Cocktail & Genever Experience on the Museum Square in Amsterdam, is a unique adventure and an unforgettable interactive experience of the glamorous world of cocktails, liqueurs, bartending and genever. Visitors find out all about Lucas Bols, the oldest distilled spirit brand in the world since 1575. Our liqueurs and genevers are mixed into tasteful cocktails at the end of the tour. To make a visit even more attractive, a free interactive audio Guide in English, Dutch, French, German, Spanish is provided. The tour ends in the revolutionary Mirror Bar, where bartenders shake Bols cocktails, based on your own flavour preferences. Those who wish to learn the art of flair bartending (think Tom Cruise in ‘Cocktail’) can do so in the magical Flair Booth. We have recently added also a huge Do It Yourself Bar where cocktail enthusiasts can make their very own cocktail, guided by one of our bartenders. • The tour is including a cocktail of your choice. • Minimun age for visiting House of Bols is 18 years. The best way to start your night out in Amsterdam!